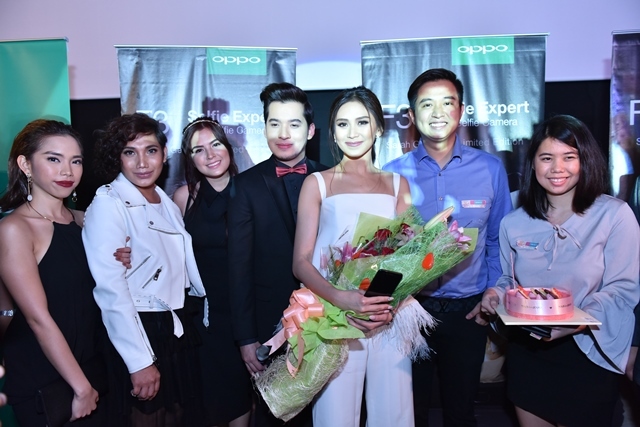 OPPO supports Sarah Geronimo’s “Finally Found Someone” premiere on July 24 at SM Megamall Cinema simultaneously with the launch of F3 Sarah Limited Edition smartphone as part of her 3rd year anniversary with OPPO. The exclusive Finally Found Someone block screening was attended by the media and Sarah Geronimo's fans. It was almost 4 years ago since I have watched a Sarah-John Lloyd movie. We were "first dibs" to Finally Found Someone movie. I should say that their loveteam still has that "kilig" factor overall. Watch out why and prepare to fall in love again on July 26. The Sarah Geronimo Limited Edition F3 smartphone has a special packaging box and bears Sarah’s signature at the back of the phone. anticipated big-screen comeback of Sarah Geronimo, who stars in this year’s biggest romantic comedy of the year, Finally Found Someone. differences and have their relationship blossom into something more. Did you know that you can shorten your links with AdFly and make dollars from every click on your short links.